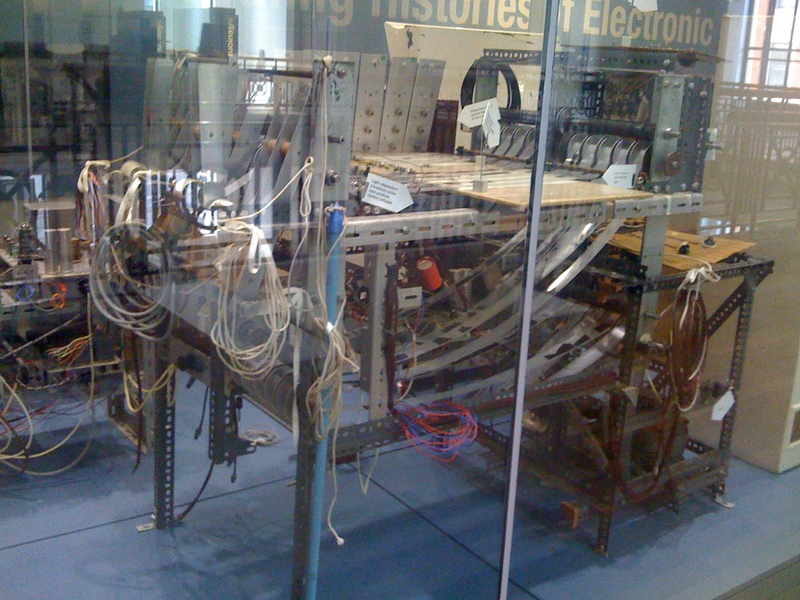 Daphne Oram was a pioneering British composer and electronic musician, I had the chance to see her Oramics Machine in person at the Science Museum in London when I was recently there, supporting the world premier of composer Vera Stanojevic’s newest piece, “The Tree of Glory”–which was intense and amazing. Luckily I had a few days to recover and sightsee. 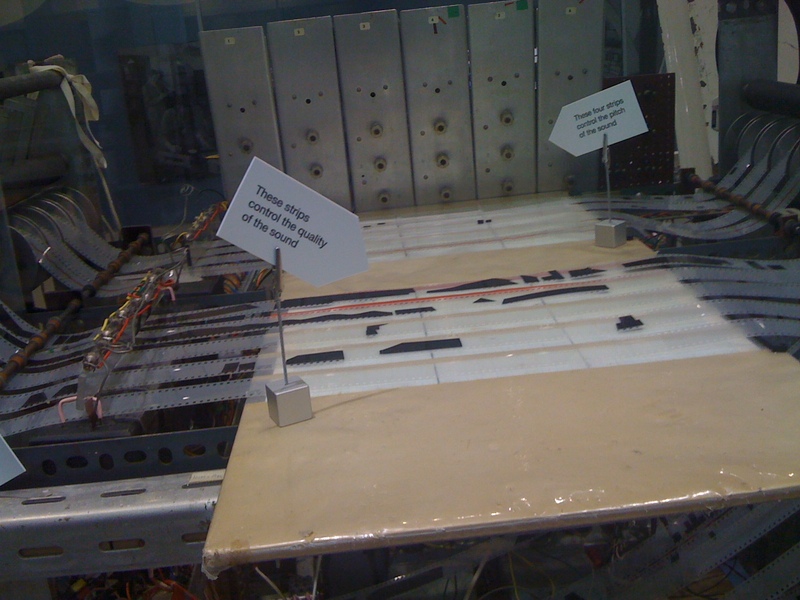 The Oramics machine was built in the early 60s and was played by painting images on a series of slides which would then be fed into the machine automatically, in a loop. Next, phototransistors convert the images to voltages and in turn to sound. It’s an impressive and beautiful machine. Check out the Oramics machine in action via a video from the BBC. Oram’s foundation even has an iPhone app which lets you create music in the Oramics “programming language”. We live in a privileged era of electronic music in which we can simply replicate in a compact and useful format, on mobile devices, that in the bygone era huge machines and years of research created. Go out and innovate and outdo.